Much like BDS, there exists NRADS – NRA Derangement Syndrome. Anti-gun advocates seem to believe that everything bad in the world is the fault of the NRA. It’s nice to see a paper willing to publish a pro-NRA response in Montana. This past week The Gazette published a letter by Carol Mick criticizing the National Rifle Association for not policing its members. One of the examples she mentioned was the “hunter” from New York who shot a feral llama and attached his/her nonresident elk tag to it. Unfortunately, ignorance is not a criminal offense, no matter how much we might hope it would be. Perhaps Mick has information unavailable to me indicating that this knothead was an NRA member. Her other example was of a friend purportedly shot by two hunters while the friend was in an orange tent “at twilight or darker.” The NRA then “got the two hunters off.” More information on this incident would be informative. The only way I was aware someone could “get off” from a possible criminal charge would be if they were not charged because no crime was committed, or they were found not guilty at trial. The NRA has done more in the interest of firearms and hunter safety than any other group or organization in the country. 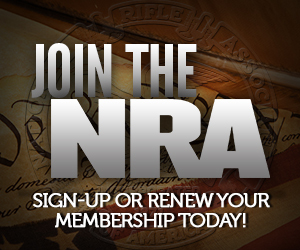 NRA training is considered the gold standard for firearms and hunter safety. I understand that they are unpopular among those who don’t like guns or hunting, but attacking them for something over which they have no control seems to be a little over the top. Unfortunately that’s what anti-gunners do. They are incapable of blaming the actor for his actions. It’s not only the anti-gunners who bash the NRA, but many gun owners and other pro-gun groups as well. GOA in particular! If all of the energy used by gun owners and pro-gun groups who hate the NRA could be redirected toward unifying against the anti-gunners, we could be unbeatable. As long as GOA and others continue to whine and blame NRA for our problems, our opponents will continue to be encouraged and watch us fall from within. Though, admittedly, I was approaching it from the other direction (much like Ron W. was referring to). are very likely phony, made up, spur of the moment lies. Ask for specifics such as where, when, who, and people like this have no answer. NRA Diversification: Getting Into A Business They REALLY Understand.